I am about a third of the way through hand quilting this. I am happy that I am still in love with this quilt every time I take it out to look at it. I am about a third of the way hand quilting this quilt, as well. That’s actually much further than I thought. This is a gift for a friend. The quilt is basted and I started machine quilting it on the weekend. I am trying to finish this quilt before Christmas. Especially since I started this for LAST Christmas. This is going to be a bed sized quilt made from a pattern I created on the V&A Patchwork Pattern Maker. I spent hours and hours cutting out all the little squares and have only sewn together a small corner section. I’m dying to work on this quilt top. Hopefully after the holiday rush. 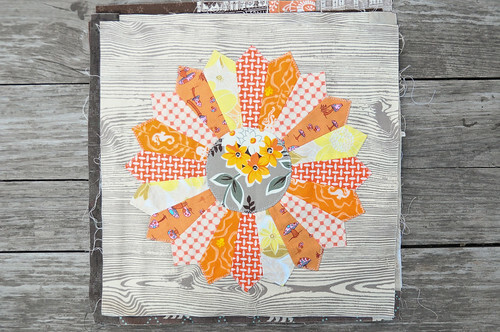 I have four blocks made for this sampler – Road to California, Schoolhouse, Log Cabin, and Dresden Plate. I should try to make at least one block a month for this quilt. I made four log cabin blocks, with the intention that this was going to be for my brother. I’ve decided that this is not the right quilt for my brother, so I’ve been looking for a new idea. Hopefully I’ll be able to incorporate these blocks somewhere into the new quilt. When I get a brilliant flash of inspiration. Quilts for guys = tricky. I fell in love with the shoo fly block when I saw the cover of ‘Color Your Cloth‘. 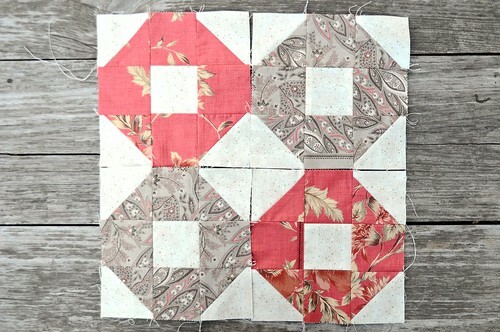 I decided to use my French General ‘Rouenneries’ Jelly Roll to make a quilt using just this block. I only have four blocks made so far. This english paper piecing project is probably going to be a wall hanging of some sort. soonish. I’m actually very close to finishing this project. I’ve quilted the New York City subway line using a vintage map that I found. I’d like this to be a wall hanging and I’m just debating displaying it in a wooden hoop or if it should be a square with a proper binding. As I mentioned in my last post, this quilt is basted and ready for machine quilting. I’m unsure of how I’m going to quilt it, but I’d really like to finish this before the end of the year. 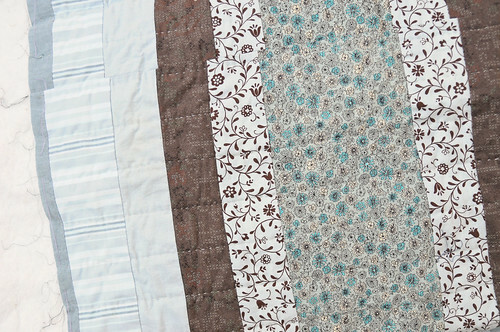 I’ve updated My Crafty List of Things to Do with this detailed quilt project list, including quilts I want to make, quilts in progress and completed quilts. Okay, so ten quilt projects on the go. A bit more than I thought, but hopefully I’ll knock three of these off the list in the next month. There is exactly one month of craft time left before December 25th. EEEEK! LOVE!! 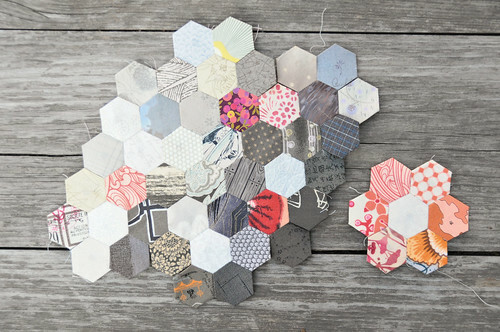 I adore the hexagons especially! Oh, that double wedding ring is breathtaking! What wonderful inspiration, all of it. woweee zoweee! so many beautiful projects on the go! this coming winter might give you some indoor time. Oh wow, I love these pictures a lot. 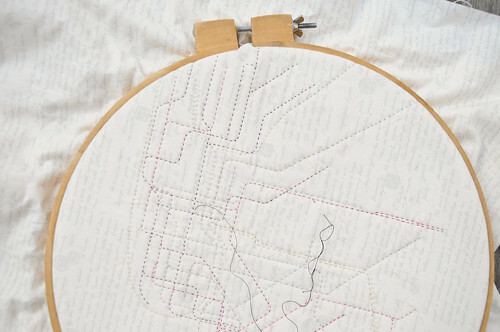 I’m always so impressed by what people can do with quilting, it makes me want to try it myself more and more. Your quilts are so lovely! 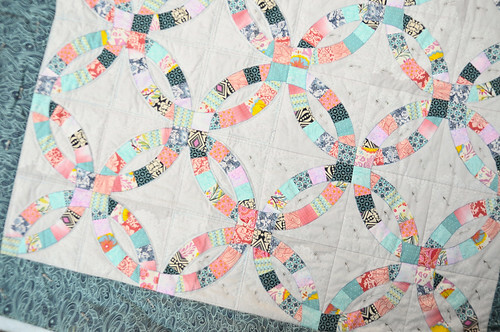 I adore the double wedding ring quilt. I have a half finished single girl quilt that I should finish. 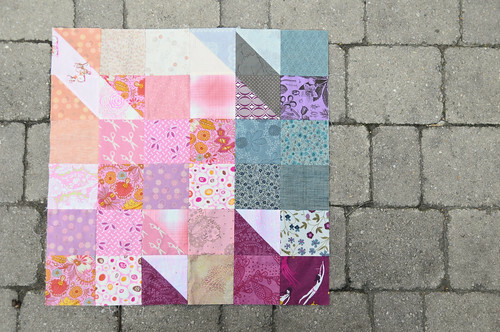 I love the color combinations in each quilt…very inspirational! I love knowing which quilts you have on the go! this is a great way to never tire of what you’re working on. I can’t imagine a tidy sewing room with no unfinished projects, I strive towards it but if it ever happened I think it would be a bit weird. And obviously I would just start a few new ones immediately.